Physical field trips to scientists’ work places have been shown to enhance student perceptions of science, scientists and science careers. Although virtual field trips (VFTs) have emerged as viable alternatives (or supplements) to traditional physical fieldtrips, little is known about the potential of virtual field trips to provide the same or similar science career exploration advantages as physical field trips. The overarching goal of this paper is to describe a VFT, zipTrips™, designed to provide middle school students, especially those in resource limited rural areas, with access to university scientists. Using zipTrips as a case example, the paper identifies and describes some of the core characteristics and elements of high quality authentic VFTs that foster student-scientist interactions. 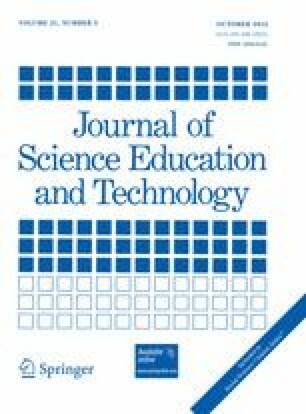 In addition, the paper uses program evaluation data to examine the impact of zipTrips on student perceptions of scientists. Purdue zipTrips™ is a trademark of Purdue University. The project was developed with partial support from the Howard Hughes Medical Institute (Grant #51006097; PI: J. Paul Robinson). The contents of this paper are the authors' and do not necessarily represent the views or policies of the Howard Hughes Medical Institute. The authors acknowledge the assistance of Joan Crow, Carol McGrew, Steve Doyle, Sharon Katz, Julianne Bell, Rebecca Goetz, Ann Bessenbacher, Laurent Couetil, Lisa Hillard, Lori Corriveau, the Indiana Higher Education Telecommunication System, the Indiana Public Broadcasting Service, and the teachers and administrators from several school corporations who assisted in the development of Purdue zipTrips.